Hollywood Home Game Hero or Villain? Molly Bloom and Houston Curtis spin tales of Spiderman’s poker antics. Everyone is abuzz with the impending book from the “Poker Princess” Molly Bloom, Molly’s Game: High Stakes, Hollywood’s Elite, Hotshot Bankers, My Life in the World of Underground Poker which promises to “name names” from the high-stakes, private Hollywood Home games. While it’s rumored that she takes a liking to poker-friendly actors like Matt Damon and Ben Affleck , supposedly Spider-man himself, Tobey Maguire is painted in a less than heroic light. In this fascinating article from the New York Observer, character witness Houston Curtis speaks for the first time in detail about Maguire, Bloom and some of the inner workings of the nosebleed home game. It’s a great read and while Maguire is supposedly “destroyed” in the book…some of these just stories sound like Spidey’s a hustler, baby. For excepts and highlights…click the jump button. 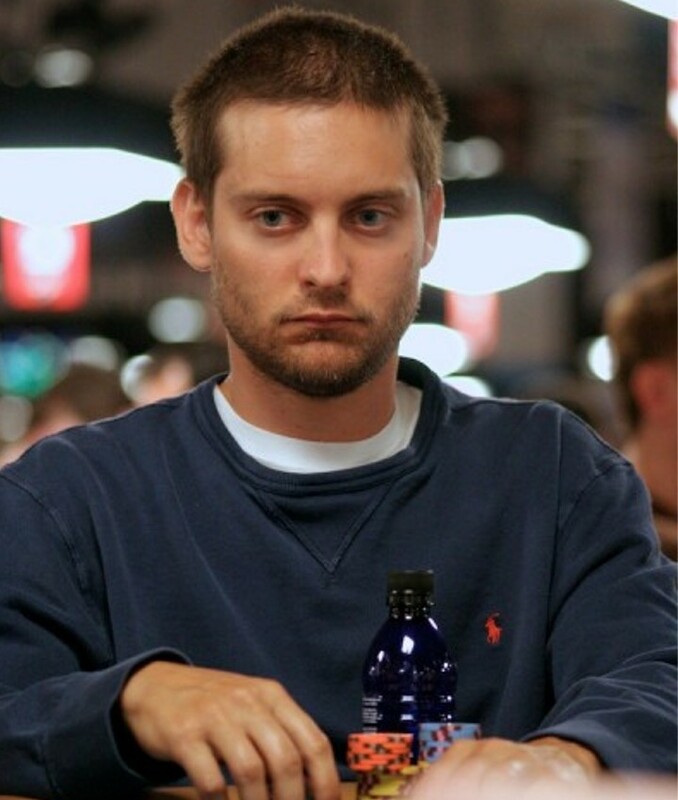 According to Curtis and Bloom, not only is Tobey a good poker player as far as actors go…he has the skill to legitimately compete for bracelets. As for Mr. Maguire, he’s in a different league from other actors who can play some cards. While often mentioned in the same breath with other excellent playing actors like Jennifer Tilly and Ben Affleck, according to one of the sources, Mr. Maguire plays at a level that far surpasses “good for an actor” and approaches the elite level of the players who win bracelets at the World Series. Tobey attracted major whales by paying for some of his high profile Hollywood chums to sit at the table. Tobey got Molly to concoct these games using friends like Leo DiCaprio to sit at the table. Tobey was basically paying their entry fee, and using Leo as a lure to get these billionaires like Alec Gores and Andy Beal to come to the games. Tobey even bought up the debt of the aforementioned Houston Curtis and then struck a staking deal which had him earning 50% of the profit and assuming none of the losses. It’s very simple what happened. There was one bad night at the tables. We were playing poker and I got buried in a game and the games played big. That night I lost a million dollars. I met with Tobey about it and scratched out a deal that allowed me to keep playing. He didn’t pay the full million; he put up 600,000 of it. I would pay him 50% of my wins until he was paid back and then he’d also get 50% of my wins for a year after. He knew that long-term I was gonna win in that game cuz that’s what him and I did in that game – we won. You gotta take the time to read the full article, you won’t be disappointed. World Poker Tour hypes one of their latest players. Lily Killeto has found success in the past year and a half on the World Poker Tour circuit, nabbing two 6-figure scores and a pair of final tables in the process. Now the swimsuit model turned poker pro is the latest hype candidate for the World Poker Tour. If you’ve got 33 seconds, get to know a little more about Killeto. From the floor of the UKIPT 2014 Nottingham stop, PokerStars' razor sharp Nick Wealthall captures a few moments in time with Team PokerStars Pro Liv Boeree to talk about the ongoing festival, their mutual jealousy over Vicky Coren's EPT Sanremo victory and why SCOOP is such an amazeballs online tournament series. Enjoy the #1 series without the big-time buy-ins. In less than 20 days the Rio in Las Vegas will be home to non-stop, 24-hour poker madness in the form of the World Series of Poker. While high rollers and grinders galore will be #BraceletHunting all summer long, for those on a more limited bankroll, the Daily Deepstacks at the Rio provide some of the best value of the year. With three starting times (3pm, 6pm and 10pm) and a range of buy-in ($235, $185 and $135) there’s something for everyone. Last year, some of the $235 tournaments offered a first place prize upwards of $50k, with the average first place prize being right around $44k. That’s something you gotta get in on! Just remember if you plan on playing that traditionally, these have been re-entry events and on the big days, like Friday, the lines to register can be long – so plan ahead. Also, when there is a massive bracelet event, the Deepstacks are the first to get moved around. It’s rare but it does happen. Also, Two Plus Two user wangtangkiki breaks down the 2013 prize pools to see which day is best and when the largest prizepools for each buy-in are. 40 tabling is easy as 1-2-3. You always hear about these online players that can be profitable grinding a ton of tables at the same time. Ever wonder that that pace looks like? Check out this short video that came across our feed of Katie 'hotjenny314’ Dozier mopping up 40 tables at the same time. 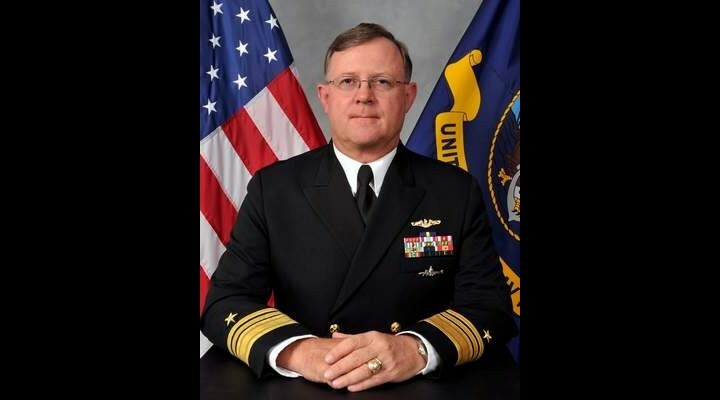 Navy Rear Admiral Timothy Giardina was slapped with two counts of “conduct unbecoming an officer and a gentleman” for a mini-scandal that involved the one-time seaman using a trio of fake chips at the Horseshoe Casino in Iowa. According to Omaha.com, Giardina, who was playing a little poker at the Council Bluffs Horseshoe on June 16 of last year, went to the bathroom where he said he found 3 chips, a money clip and some vouchers. Instead of handing them in, the officer, told a floorman that he found property (he didn’t say what) and that if anyone came forward, he’d give it to them. No one did and so Giardina tried to spend the three $500 chips. The problems really appeared when it turned out that rather than being three legitimate $500 chips, they actually were three $1 chips doctored to look like $500s. It didn’t take long before they were traced back to Giardina. When questioned back in June, Giardina allegedly lied to try and cover it up and said he purchased those chips from someone in the restroom. He later recanted and the admiral admitted he made that part up. Once NCIS, got a hold of the case Giardina’s clearance was suspended and, now almost a year later, he received an official “punitive letter of reprimand”, a $4k fine and after a 35 years Giardina is looking at the end of his career. TeamU pros compete for bragging rights. A good natured needle never hurt anyone. The brass over at Ultimate Poker, one of Nevada’s regulated online poker sites, is doubling down on promotion. In addition to an upcoming #RunItUp event with popular pro Jason Somerville, the team has launched a new web series to both promote the site and it’s brand ambassadors. “ME vs.U“ promotes a little good-natured competition between Dan O’ Brien and Danielle Andersen in a few events of office olympics. Office chair racing, boardroom shuffleboard and waste-basketball are the events and the winner must be served a picnic lunch by the loser. Howie been caught hanging out with Jane’s Addiction. Here’s one for the WTF files. Embattled former Full Tilt frontman and all-around unwelcome poker heel Howard Lederer was reportedly seen partying in the VIP section of the Jane’s Addiction concert last night at Las Vegas’ Brooklyn Bowl where the band played their album Nothing’s Shocking in full. Steve TT McLoughlin, former Two Plus Two bigwig and current Marketing Manager for industry-standard online poker HUD PokerTracker reportedly spotted the Hodor of Poker in the rowdy Jane’s Addiction crowd (in the roped off section). 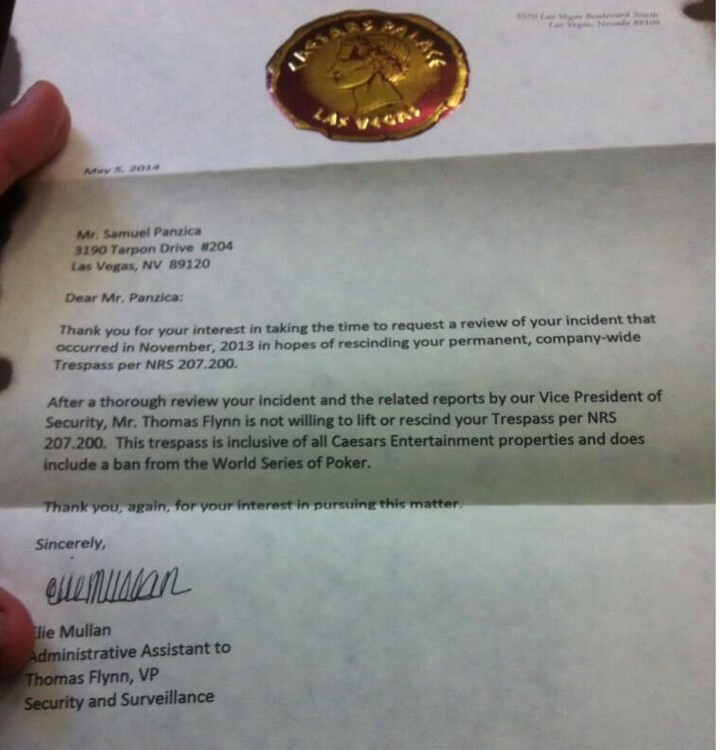 Sure, it could be a joke, it could be mistake (so take this as a rumor) but it’s unlikely as McLoughin is a longtime Las Vegas resident, an industry insider and like the rest of the poker public is pretty pissed about the Full Tilt fiasco. The dude knows who Howard Lederer is. To further back his claims, known Howie associate, professional cowboy hat wearer (and poker player) Andy Bloch was there for sure and he even snapped a photo of guitarist Dave Navarro from the VIP section. Perhaps it’s understandable though that Howie is out on the town in Las Vegas, he’s probably having a hard time being at home with his vast $9million estate being put up on the market. Feeling the pressure or looking to stimulate more action? Last week, we reported about online poker sicko Marcelo “Urubu111” Freire who started his massive 45 day, 500k hand prop bet risking $30k at 2:1. Yesterday, Freire made waves 9 days after the challenge started by trying to buy out of the challenge for 30%. He posted on Two Plus Two that he’d had enough. i just want have my life back and dont wake up having to play 10k hands eveyr ****ing day. Despite it being early in the challenge and “Urubu111” still being ahead of pace on hands but running extremely bad, it seemed as if the pressure was getting to him. by the way, im surprised how hard is this stuff… i thought it was easy money, when people start betting big i was like ''omg donation for me !!! '’. i called busted friends saying then to sell their cars and bet like $10k usd on me, that for sure in 40day they double up their money. glad they didnt trust me lol. With the encouragement of the railbirds begging Freire to not give up and his opposition not taking the bait at 30%, the PLO challenge was destined to continue on. In fact, “Urubu111” actually looked to book extra action once he got his second wind…prompting some to think he might have been playing possum. He’s “giving money at every level” for his supporters. MSNBC host Chris Hayes talks all things online gaming and the payola politics of Sheldon Adelson on his show All In. Not many people are buying Adelson’s “for the kids!” war cry and realize that he’s buying up politicians in an effort to save his own vast fortune. Here they discuss whether Adelson’s efforts are paying dividens. Political junkie? Want more? Check out the video below and the latest article on Adelson from The Washington Post. 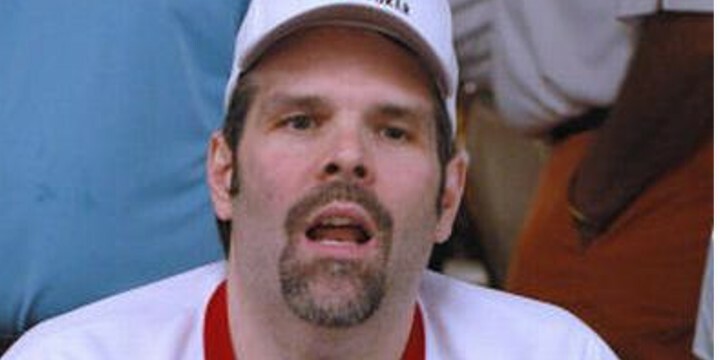 An oral history of Ultimate Poker Year One. Ultimate Gaming’s Tom Breitling calls “regulation” the theme of the year. It was just over one year ago that Ultimate Poker became the first regulated online poker site, not just in Nevada, but in the United States. Here, Ultimate Gaming founder Tom Breitling talks about the trials and tribulations of bring online poker back to the US and declaring victory through regulation. With everyone watching, Breitling discusses the honor and privilege of bring the first in the state to offer online gaming, but also the massive responsibility that came along with it. Today, they happily put “the lost decade” of unregulated poker behind them and finally legitimize the world of online poker. Carter Gill to David Diaz, Chan Pelton to Sam Panzica every year it seems someone finds themselves facing the consequences of actions they probably wish they hadn’t taken. They’ve been banned from the World Series of Poker. For most players, this isn’t an issue but after we ran a post about 3-time WSOP Circuit Champ Sam Panzica being denied a reprieve from a ban he received last November, we reached out to the WSOP’s Seth Palansky to talk about the banning of players and what can possibly be done about it. Seth opened up for us about “incidents at casinos” and how they are handled as, believe it or not, no one wants to be wielding the banhammer. On disciplinary action, Palansky also stressed that punishment isn’t something that is negotiable. This is in no small part due to the litigious nature of people when they think they can make a quick buck of the cash friendly casinos. On why a punishment can affect a player, Seth tells us why it’s not just at the Rio but on all their properties. Is there any hope for players who have put themselves in the position to be banned? 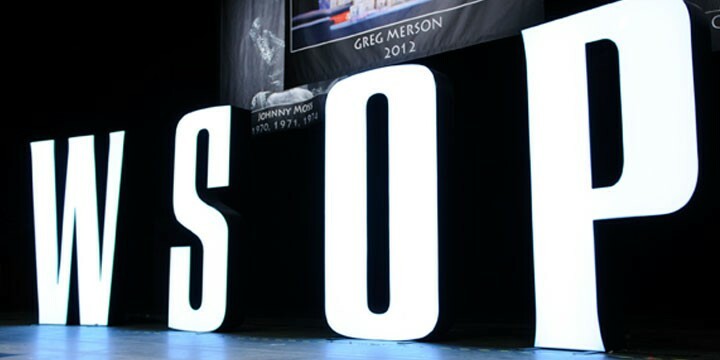 Finally, even though the WSOP and its employees may like a player, there’s not much they can do. Schemion’s not letting success go to his head. 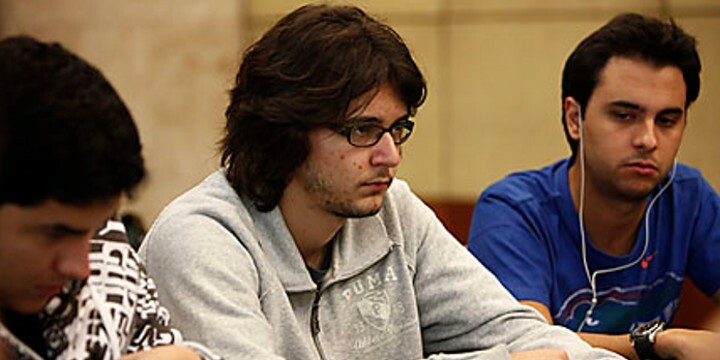 Young poker wizard Ole Schemion has seemingly had nothing but success since he hit the scene at age 18. 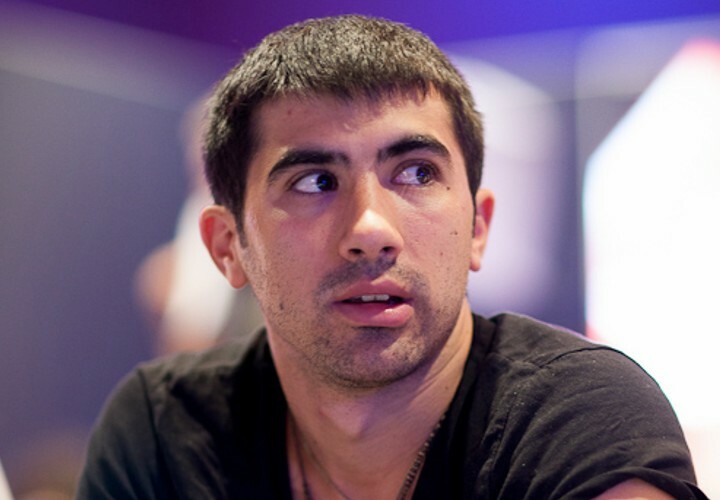 The newly crowned EPT Player of the Year already has over $5million in lifetime earnings. That’s since April of 2011. He just turned 21. The PokerStars nabs the now legal sleeveless one for a sentimental piano tinged profile which shows off the softer side of the on-the-felt aggro German superstar. Even though the media is all over him, he’s getting recognized in the streets and the titles keep piling up, but for Ole, he just wants to play poker because he loves the game. Formal appeal denied in writing. Don’t mess with the bull young man, you’ll get the horns. Three-time WSOP Circuit ring winner Sam Panzica may be one of the only guys not looking forward to the upcoming 2014 World Series of Poker at the Rio. You see, the young grinder has been banned and he just found out, upon appeal (as you can see), that it’s not going to be lifted. The details of what happened are a little sketchy for us, but from what we gather it happened during Panzica’s buddy, 2013 WSOP Main Event Champion Ryan Riess’, run during the November Nine. People are hinting around what might have happened but not shockingly, it sounds like he’s going to blame it on the alcohol. But everyone makes mistakes right? So, some of his high profile poker buddies, like Riess and Loni Harwood, sent messages of support upon hearing that Panzica will likely miss the best 6 weeks on the poker calendar. Hilariously though, not everyone was jumping on the #FreePanzica movement as WPT Champion Matt Salsberg opted for the needle. We’re still looking for exactly what happened…so if you know, for sure, drop us a line and we’ll update this post. “Thank you, again, for your interest in pursuing this matter.” Ouch. It’s another episode of the properly produced highlight reel of EPT 10’s London stop. With hole cards, commentary and massive star power, the tournament speed tword the bursting bubble as some of UK’s favorite players try to hold on and make some money. There’s no doubt about it, with the expansion of online poker in New Jersey and the Borgata kicking things into high gear with BorgataPoker.com – the massive East Coast card room is beginning to take their poker game to the next level. 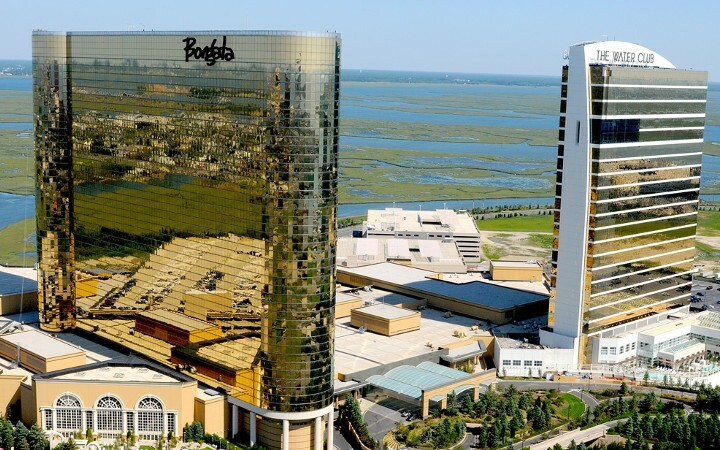 The Borgata seasonal series are becoming destination series for East Coast (and beyond) players and now the Borgata wants to take their coverage of their upcoming Borgata Summer Open to the next level with new expanded coverage. So, if you are a poker journalist, content creator, “hipster blogger” or just a writer interested into getting into poker then check out this posting over at PocketFives …or you can read it after the jump. Low limit grinders enjoy a hefty payday. 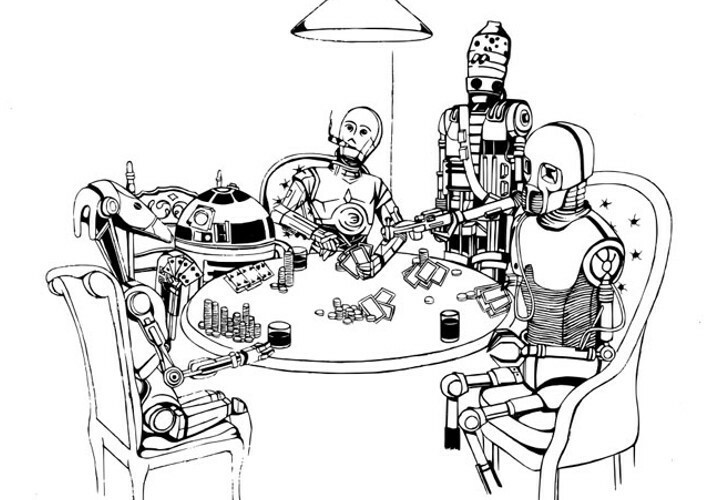 Who says poker is a young man’s game? Last week, the Golden Nugget AC poker room paid out $50,545 in their first ever Bad Beat Jackpot to a crew of old school grinders. The rugged lot were sitting at a 2-4-6 Limit Hold’em game, when according to comments on the Golden Nugget Facebook page (so take it with the appropriate grains of salt) a Royal Flush took out Quad Jacks for the win. The Golden Nugget’s BBJ is relatively new for them, implemented in January of this year and finally hit in the last week of April. They paid out 50% to the loser of the hand, 25% to the winner and then the rest of the table chopped the remaining 25%. The reset button on the jackpot was hit and currently sits at around $15k. “How are we going to do this?” – Jake Cody learns the rules of parenthood. We noticed a couple of updates on some posts we shared with you earlier this year we thought you might be interested in keeping up to date with them. Check out the latest on the “ponzi schemer” and the new parent. Fun loving poker pro welcomes first baby boy. Meet future Poker Hall Of Famer – Evan Deeb. Professional Las Vegas poker player and one of the sickest online grinders of all time, Shaun 'F—-ing’ Deeb, is all smiles this week as the one-time young Waffle Crushing prankster is now, officially, a father. Congratulations to Shaun, and of course his wife, as they welcome their first born…so it looks like Shaun will be off the gambling grid for some…wait, what’s that?? If you didn’t know already, Deeb has an unquenchable thirst for Open Face Chinese poker…but hey, everyone is happy, healthy and the poker community, where Shaun is pretty much adored, poured out messages of congratulations for him. Still expect to see Shaun Deeb at the tables this summer during the WSOP, perhaps with a few hours less sleep under his belt. Congrats again to Shaun “Father” Deeb! Don’t be selfish, win stuff for mom. When it comes to out of the box promotional ideas, the Motherly-minded folks at the (relatively – pun intented!) new BorgataPoker.com have an idea of how you can get your poker fix while not forgetting about mom. New Jersey residents, check out the Mother’s Day Giveaway. From the looks of it, it’s a super simple giveaway: log-in to your account, opt in and go to the promotions tab to register for the give away. Next thing you know, there’s a random drawing and you and your momma could be headed to Borgata for a Spa day, dinner and probably, let’s face it, some poker. You gotta be eligible to play on BorgataPoker.com and that’s about it. So, get on it, there’s only a couple days left and if you are in NJ and have yet to sign up, they do stuff like give you massive clearable welcome bonuses, $1k Daily Freerolls, and more. Everyone likes a good “local boys made good” story. Here’s a quick write up of a couple poker success stories hailing from the small town of Tyler, Texas. With a population of just around 100,000 Tyler, Texas has produced a couple of feel good felt stories that are worth checking out in the latest issue of their local news magazine, In Magazine. 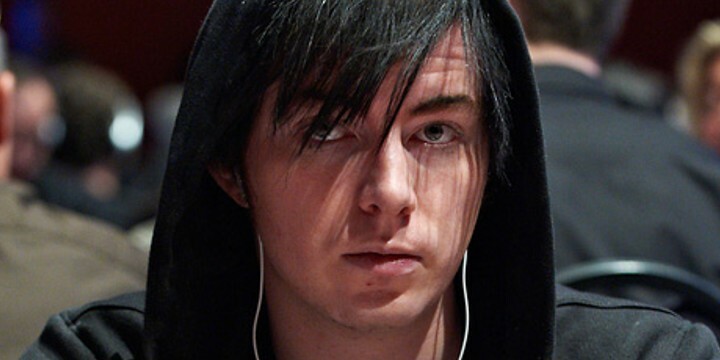 Meet Tyler Morris, 28, a recent World Series of Poker Circuit Champ. Poker at a high-stakes level involves an exceptional amount of skill, including reading opponents, calculating odds and trying not to make missteps. 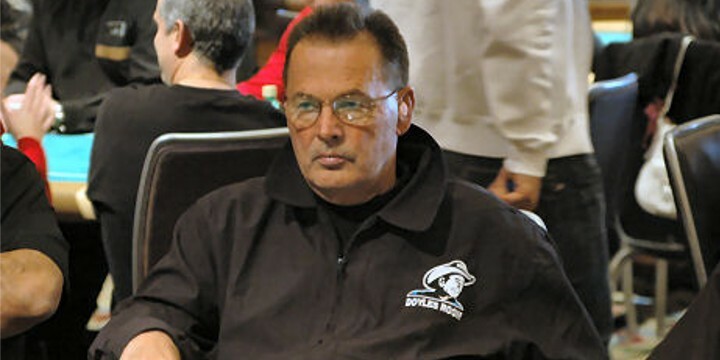 Meet Chris Bowen, 54, an late blooming poker player and another WSOP Circuit Champ. Both will likely be competing for the WSOP National Championship which takes place May 22-24 at the new Bally’s Atlantic City WSOP themed poker room. Yet another cautionary tale about keeping your mind on your money and your money on your mind. 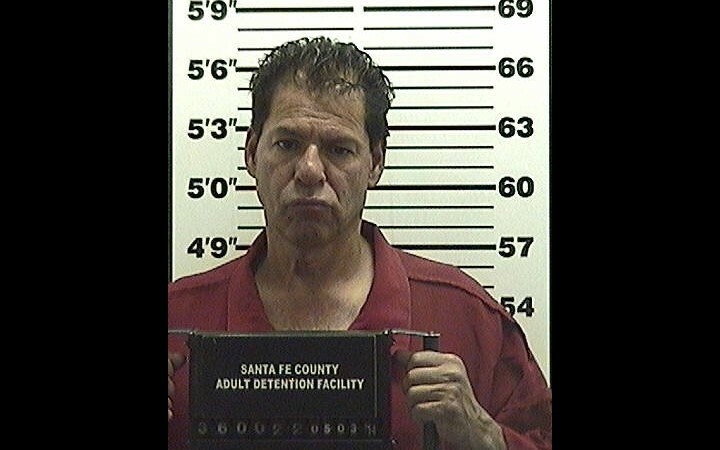 From the poker crime logs comes the tale of John Baca, 54, arrested by the Santa Fe County Sheriff’s department for allegedly trying to steal poker chips from unsuspecting victims…right off the table. Baca, who was trolling the Buffalo Thunder Resort poker room – which is a nice looking room by the way – may or may not have taken anything, but what he did do was lie to the cops telling them his names was Michael Sanchez. Turns out the guy who they thought was the victim actually left, so authorities can’t be sure (yet) if Baca got away with it. But he did have a notice barring him from the property (and thus the poker room) which landed him in the slammer. 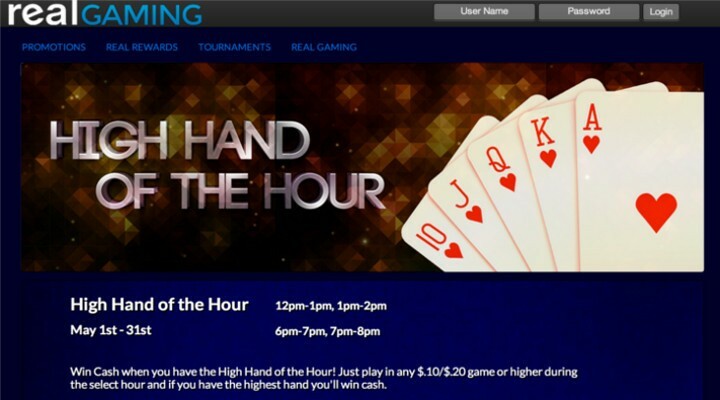 Soft launch, testing but no marketing for Nevada’s third online poker room. Any two cards could win…never has it been more true. 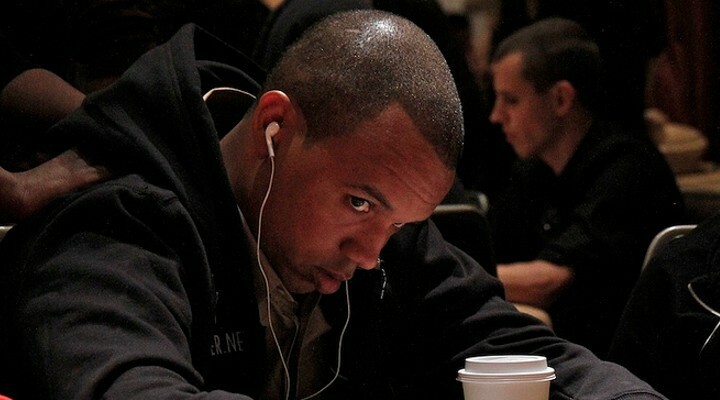 Nevada’s third online poker room—yes, there are three—may be coming out of the shadows. Real Gaming co-founder and CEO, Lawrence Vaughan has given an interview to Howard Stutz of the Las Vegas Review Journal. Real Gaming’s launch was conducted with no marketing, and even less fanfare. “We’ve only been operating for a little more than a month and we’ve been so quiet, some people didn’t know we were out there. It’s been perfect actually, allowing us to do things like focus on customer service,” said Vaughan. First figures from PokerScout showed average cash game traffic at 0 players. A month on, Real Gaming has at least achieved consistency, traffic remains at an average of zero. “We want to be extremely quiet and deal with a small, but loyal, customer base and accelerate from there,” explained Vaughan. During this “testing and soft-launch phase,” Vaughan has been hands on in getting to know his customers. “I reached out to one of our customers, who had been playing the most hands of anyone, and he told us he was playing on an iPad from a poker room here in town.” When the highest volumes are coming from an iPad user, it’s time for the business to declare that its recreational player model strategy is working. Boyd dinged in court for “deliberate and willful” trademark infringement. A federal appeals court upheld a judgement last Friday against notorious poker player Russell “Dutch” Boyd in a case of trademark infringement against the massive online poker community Two Plus Two. Dutch allegedly cyber-squatted and then “acted in bad faith” to register the domain name “twoplustwopoker.com” to try to divert customers away from 2p2, according to the Las Vegas Sun. The appeals court said Two Plus Two presented evidence it has sold more than 2 million books and has 250,000 members on its online forums. The judgement against Boyd by the U.S. Ninth Circuit Court of Appeals is for $25k plus an additional $33,985. Good thing Boyd has that new book done. Dan O’ Brien will be there too. Fans of Jason Somerville and Ultimate Poker have a little pre-WSOP event to get excited about. 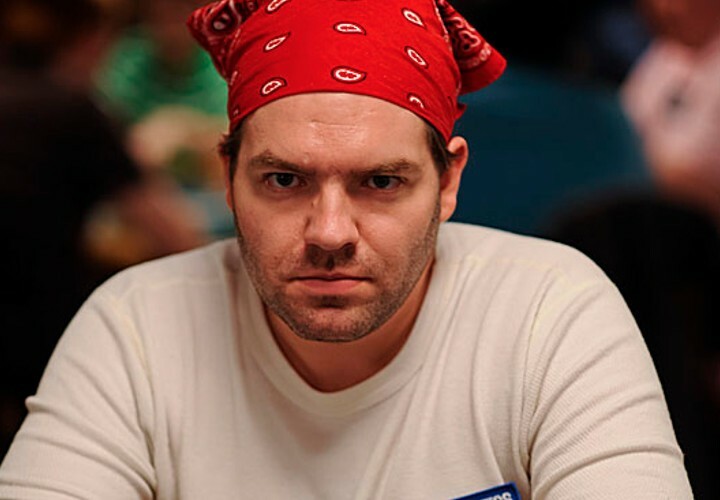 Somerville, celebrating 1-year with Ultimate Poker, is hosting his first live RunItUp event at the Peppermill Reno. It’s a full slate of tournaments, cash games, hangouts and meetups for 5 days this month with other Ultimate Poker/Somerville fans. If you are the creative type, you can win your way to Reno or just book your trip. But act fast – this is all taking place super soon with contest submissions due at the end of the week and the event starting next Wednesday. Nolan Dalla says Tomko didn’t Dew it. Remember a while ago when Poker Hall of Famer Dewey Tomko (supposedly) co-authored that op-ed for the Press of Atlantic City basically condemning online poker? Tomko took a TON of heat for it on Two Plus Two and in the poker media in general…which might have been warranted…if Tomko actually co-authored it! Turns out, according to a new blog post from Poker Night In America's creative director (and personal friend of Dewey Tomko) Nolan Dalla, Tomko had NOTHING to do with it. While Tomko knows (now supposed) co-author Bill Byers, according to a phone conversation Dalla had with the bracelet winner, it’s been a while since he’s heard from Byers. Sure, I know Bill Byers. But I haven’t talked to him in ten years. In fact, Dalla says that Tomko not only hasn’t talked to Byers in years but has NO IDEA about the article and, in fact, is actually a supporter of online poker, despite not ever having played it. I have no association whatsoever to anything to do with that. I don’t play online poker. I’ve never played online poker before. Not even once. I don’t know anything about it. Why would I say something on something I know nothing about? I don’t do that. The Press of Atlantic City ran the op-ed, likely, under the assumption that Tomko’s affiliation was genuine and, of course, we and other media outlets had no reason to question the authenticity of the Press of Atlantic City op-ed. Well, **** us. Good thing Nolan Dalla has a personal relationship with Tomko and could get to the bottom of it. Six weeks after the op-ed was published Dalla called Dewey for an extensive conversation about the piece. Dewey claims to not know anything about it. I have no idea what you’re talking about. You know me. I don’t write columns to newspapers. I’ve got other things that keep me plenty busy. First, Tomko didn’t write the editorial. Second, he knows nothing about it. Third, he hasn’t lent his name to any cause associated with any findings about online poker. To be fair, while Dalla, a longtime trusted industry staple and a historian of the game, talked to Tomko, and obviously very much believes that Tomko had absolutely nothing to do with this, there are still, perhaps, scenarios that exist making this very unclear as to exactly what happened. Perhaps Press of Atlantic City was just plain duped, in which case we all were, or perhaps it’s Dalla that doesn’t have all the information. The answer, of course, may lie somewhere in between. Perskie also indicated that we were (as of 1:40pm EST) the only people on the planet to ask him about this as of yet. We don’t think we’ll be the last. So, while it looks like Tomko was attached as a co-author without his permission – we just don’t know. Of course, this story holds nowhere near the same severity as the Ultimate Bet scandal, but it wasn’t that long ago that one of the most trusted names in the game, Barry Greenstein talked face to face with Russ Hamilton and told the world he was convinced that Hamilton had nothing to do with the superuser scandal. Let’s hope though that we’re not entering a time when we need to double check every article published to make sure that the person attributed in the by-line was in fact the person that authored the article. If so, Steve Ruddock is going to have a pretty hefty cell phone bill. We’re going to let the final word (for now) go to Dalla himself who states it pretty clearly. Someone is lying. Someone is making things up. Someone needs to be exposed as soon as possible and all those who have used any evidence or testimony from the such an individual should be dismissed immediately as sources who are not credible. All of that said, if you followed this story, you need to read Nolan Dalla’s post about his conversation with Dewey Tomko. Read: Who’s the Impostor Behind the Dewey Tomko Hoax? It’s another hand sample from WPT’s Alpha8 London. Everyone’s favorite bigmouth Tony G has the heart and commitment to make any move at any time. Here we watch a pretty bland hand he gets into with decorated German high-rolling young gun Philipp Gruissem where he applies the right amount of pressure with not that much of a hand. In the end, as Tony unloads a number of his classic lines explaining why he plays the way he plays, World Poker Tour Alpha8 commentator Olivier Busquet verbally backhands Tony implying that in the long run, these types of play make him the prey rather than a chip stacking predator. 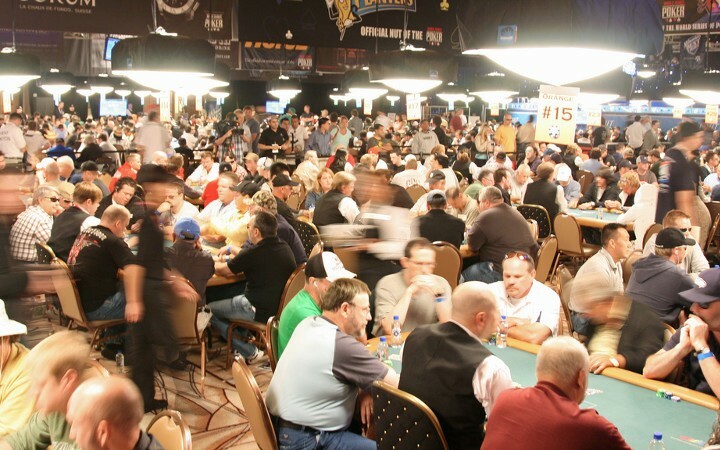 Competition for backers heats up as WSOP approaches. Former Novermber Niner and 888poker pro Jesse Sylvia is looking to put some of that 2012 WSOP Runner-up money to work this summer. The MTV reality star recently announced that he’s looking to buy pieces in other people’s World Series packages. Are you qualified? Get in touch with Mr. Jesse James Sylvia via his Twitter account. This comes on the heels of “Mad” Marvin Rettenmaier posting to his Facebook that he, too, is looking for similar value as a backer. You would think that there’s no shortage of degens…err..people looking to be staked but guys like Sylvia and Rettenmaier are looking for the perfect type of grinder. Players who have both skill and results and at the same time are lacking in the bankroll department. What’s backing? There are no dumb questions here! Check out this recent article from the Wall Street Journal that talks about the big business of backing. Watch as the World Poker Tour's Vince Van Patten attempts to withstand the wind power of a jumbo jet while on the beach in the Caribbean. There’s more flopping going on in this promo video than in a NBA game. Notice how both the girl in the bikini and the 6-year old next to her barely move while V.V.P tumbles 4 ya all the way into the ocean. Christmas for poker starts this month. This video isn’t much in the way of extra info or anything, but it’s a nice reminder that the longer you wait to make your plan the more expensive your hotel and flight will be! So get on it – the World Series of Poker is a mere 23 days away. Bonus: Looking for a fun hype video, this is our favorite (and it’s maybe the 112th time we’ve posted it) and always worth a good look. @pkrgssp, © Fuse Media. All rights reserved. Our own @pkrgssp showed this off a while back, but since it’s Star Wars Day (May the 4th for those not in the know) we thought it’d make for a fun post. Happy grinding! While Season 10 of the EPT may be over and EPTLive on a break, you can still get your fix of Hartigan and Stapes through the PokerStars EPT televised broadcast. It’s Day 2 of EPT London and the guy you love (or love to hate) Phil Hellmuth plays table captain at the featured table. Plus, this is the episode that Devilfish went on a curmudgeonly twitter rant about. Enjoy!